LDC is a national community of educators providing a teacher-designed and research-proven framework, online tools, and resources for creating literacy-rich assignments and courses across content areas. 1. LDC aligns with the Common Core State Standards. 2. LDC distributes responsibility for reading and writing. 3. LDC makes tasks central. 4. LDC connects reading and writing instruction. 5. LDC uses back mapping. 6. 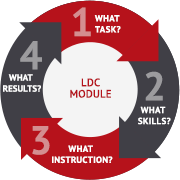 LDC fosters a responsive system. 7. LDC encourages local choice. 8. LDC strives to be teacher-friendly. 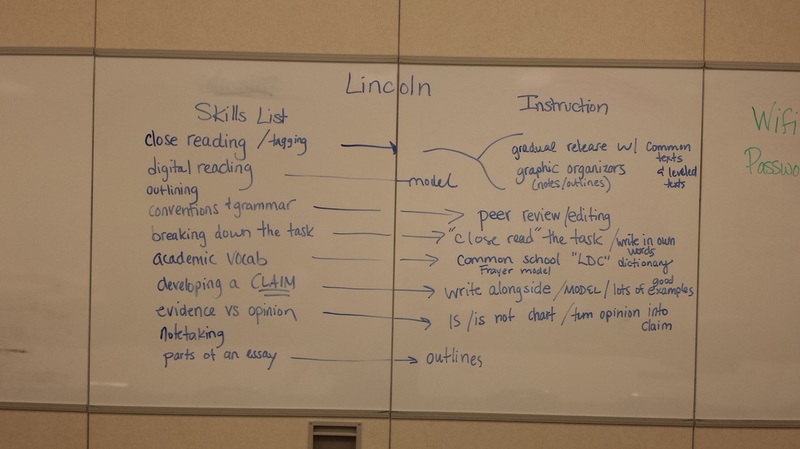 Lincoln's involvement with LDC through IU13 has been transformational. From the 2012-13 to the 2013-14 school year, we saw an 8% increase in 8th grade writing scores. But beyond test scores, we saw and felt growth in our own practice. We became more comfortable dealing with difficult texts and no longer feared teaching and assessing writing. On our year one team was Toni Allen-King, Scarlett Cobb, Bill Kurau, Rose Trimble, Melissa Stanton, Kim Minich, and Jeff Barninger. Our year two team is Wendy Moncak, Natalie Martin, Marie Cowan, Roxanne Snyder, Deana Mahlandt, Lindsay Gemmill and Gidget DeJesus. They had their initial training this summer and are off to a great start! As a school, we will be challenged this year to get students writing more and more frequently and routinely. We know that they only way to really improve writing is to do it and do it OFTEN. You'll be encouraged to use the type 1, type 2, etc. language of Collins writing and we'll spend time learning more about that in PD. Sign up for CORETOOLS NOW! We'll be using this throughout the year!